Lilian Naef wurde am 29.10.1963 in Burgdorf geboren. Nach ihrer Schauspielausbildung 1984 -1988 am Konservatorium in Bern (heute HKB) war sie an der Freien Volksbühne in Berlin engagiert; es folgten Stückverträge an verschiedenen deutschen Theatern. Sie ist Gründungsmitglied der Geschwister Pfister (Salzburger Stier 1992.) Seit 1995 arbeitet Lilian Naef als freiberufliche Schauspielerin hauptsächlich in der Schweiz in eigenen und «fremden» Theaterprojekten und beim Film. 1999-2002 war sie als Schauspielerin und Regisseurin am Luzerner Theater tätig und 2002-2006 leitete sie das Theater Marie in Aarau. 2007 erfolgte die Gründung des Vereins EcouteVoir mit Veronika Minder und Cristina Achermann. Unter diesem Label entstanden Theaterprojekte, Lesungen, Filme und Ausstellungen im Raum Bern. 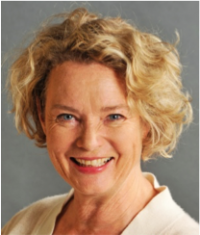 Lilian Naef unterrichtet auch Atem-, Stimm- und Sprechtechnik an diversen Fakultäten der Uni Bern und privat und ist Mitglied des Geschichten-Home-Delivery-Service. Seit 2007 hat sie ausserdem einen Lehrauf-trag als Kommunikationstrainerin an der Berner Fachhochschule für Gesundheit. Zur Zeit arbeitet sie als Gast am Konzerttheater Bern. Sie ist in verschieden Schweizer Filmen, z.B. als Frau Pfarrer in Herbstzeitlosen oder jüngst als Barbel in Heidi, zu sehen. Sie lebt und arbeitet in Bern. Originally from Romania, Maria graduated from an MA course at East 15 in 2011 and has since then appeared in theatre productions, and short films in the UK. 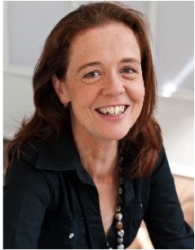 She is a founding member of Playades along with the original cast of Blue Beard Babes and has a great love of classical theatre, while also having been part of musical, pantomime and devised shows. Recent credits include Oedipus at the Blue Elephant with Lazarus Theatre Company and appearances in The Miniaturists shows at the Arcola Theatre. 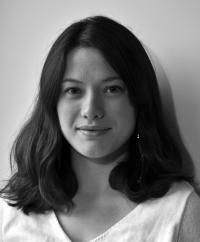 Lara is a producer/director for Green.TV, where she makes short documentary videos on sustainability issues. For the last two years Lara has been exploring drama through evening courses at the City Lit and earlier this year she was part of the ensemble of Judgment in Nuremberg, directed by Sally Knyvette, to raise money for Paul's Cancer Support Centre. Penthesilea will be her first foray into working as an AD. 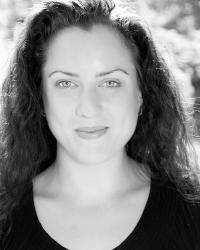 Romina has a BA in Acting and is just finishing her MA at East 15 Acting School. 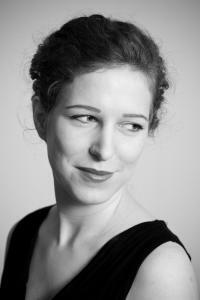 For two years, she was part of a movement-based theatre company in Romania. Since coming to London a year ago, she has performed in A Mouthful of Birds, Illyria and A Dream Play, as well as the devised Rhapsody in Two parts, written by a Lady. Skills are: Mime, Stage Combat, Violin, Dance and Singing. Alexander has recently graduated from the relatively new institution, the Blackpool School of Creative Arts, gaining sufficient and extensive knowledge in the fields of naturalism, expressionism, theatre of the absurd and Epic theatre. 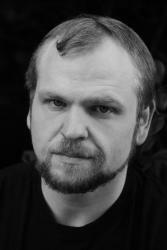 As a relatively new industry actor Alexander has portrayed a variety of colourful and challenging characters while in training. Such characters include: Sir John Falstaff, Johannes’s Puntilla, Charles the second and Stanley Kowalski. As a long standing member of the National youth theatre, Alex has participated in a variety of workshops and auditions, as well as the desire to work with the practically engineered companies frantic assembly and Complicite. Socially, Alexander participates in a high range of athletic sports including: sprinting, badminton, football, tennis and rock climbing. He feels his involvement with sports will undoubtedly keep him on his toes for gruelling challenging physical work required in theatre. His singular connection to the film industry was the National Film School portraying the part of Elvis; a love struck geek. With this being his first Edinburgh Fringe project, Alexander is looking forward to taking in the atmosphere of such an involving festival, and wishes his fellow performers good luck. Alice Frick studied acting and business in Austria. In 2007 she started doing Comedy and performed her two one-woman stand-up shows in Austria and Germany. 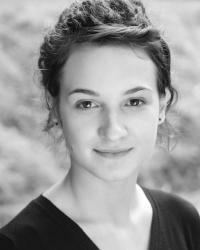 After spending one year in Los Angeles she moved to London where she is now getting her MA Acting. 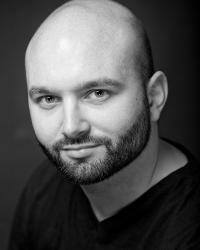 Samuel a dual national of Canada and Great Britain, initially trained at Red Deer College in the colleges Theatre Studies program and then at Master of Arts in Acting for TV, Film, and Radio at East 15. Since graduating he has appeared in a mixture of theatre, including a double bill of Shakespeare and a variety of short films with the occasional side job in other medias. 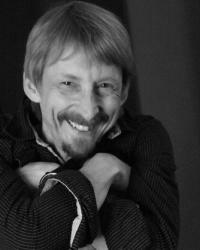 He has a particular interest in history, film, scriptwriting and radio. 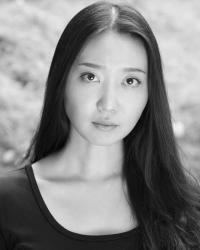 Jiin Jang has trained and worked as an actor in both South Korea (Seoul) and the UK (Chichester, London) since 2003. She also worked for a Production Company in South Korea. 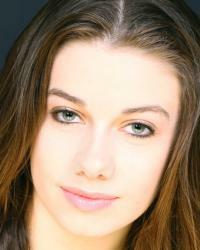 She just finished her studies for an MA Acting at East 15 Acting School and is now working in London. 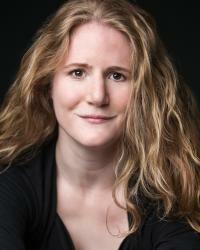 Lauren Karl was a Theater and Performance studies Major at the University of California Berkeley. She has acted in Los Angeles in films and television, and her voice can be heard in TV commercials and over the radio. 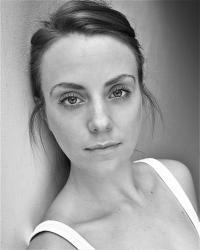 She is currently receiving her MFA at East 15 and is involved in numerous international acting projects. 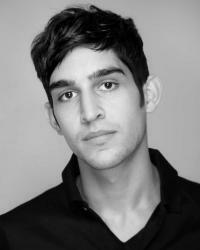 Jamie trained at Drama Studio London (2010-2011). 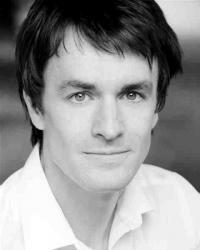 He most recently played Malvolio in Twelfth Night (Minack Theatre, Cornwall). Over the last year he has appeared in King Lear (Rose, Bankside), Abandonment (New Diorama), Cranes (Cockpit) and Regretting Dialogue (Arcola). Screen credits include Crimewatch (BBC) and The Wee Man (Carnaby films), as well as a number of corporate and short films. Please have a look at www.jaimielaird.com for more details! 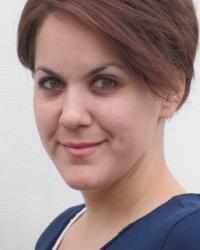 Italian born Laura Milani trained in acting in her home country and in the UK. She has worked in numerous projects both on screen and stage. 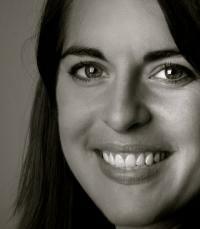 The certified Yoga teacher has a strong interest in movement-based work and Physical Theatre. She has just graduated from an MA course at East 15 Acting School and is currently performing in “The Emperor and the Galilean” at the National Theatre, London. A Midwestern U.S. transplant to New York City, where she trained at the American Musical and Dramatic Academy. 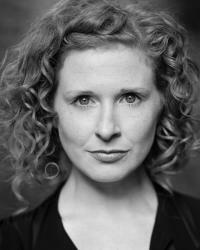 Both an actress and a musician, theatre credits include Viola in Twelfth Night, Hecate in Macbeth, Isabella in Measure for Measure and one third of Hamlet in Hamlet. Apart from her forays into classical and experimental theatre, she makes her living as a children's musician and piano teacher.